If I take a dive into my childhood memories, I can recall a few smell I grew up with. My dad’s motorcycle in the garage, my mom’s pot roast cooking in the kitchen or scented candles burning in the living room, summer days by the pool, surrounded by fresh-cut grass and line-dried bed sheets at night. I can also remember the day my mom bought her first & precious Lampe Berger and the smell of honeysuckle fragrance that filled the dinning room as the lamp burned. It was a dark blue lamp with a gold artwork on it. Something like a zodiac-sign painting, maybe. It looked like a magic lamp to me, and there was something very whimsical about it. Lampe Berger sent me this gorgeous red lamp (perfect for valentine’s day!!) to try their new fragrance and I couldn’t be happier to travel back into some of my sweetest memories. And it seems like they read my mind when they sent me their Fresh Linen fragrance. Most certainly one of my favorite smell IN THE WORLD. If you never heard about Lampe Berger before, the principle is charmingly simple. It’s a small lamp with an exclusive patented burner system that purifies and perfumes the air in enclosed spaces like no other, to improve your house air quality. The heat generated by the catalytic burner attracts and eliminates unwanted odors. Plus, they’re offered in a variety of shapes and styles to fit your home decor and there’s more than 40 fragrances available to choose from! They even have a neutral home fragrance to destroy unwanted odors, without fragrancing (or you can simply mix with other fragrances to dilute the intensity of the other fragrance!). 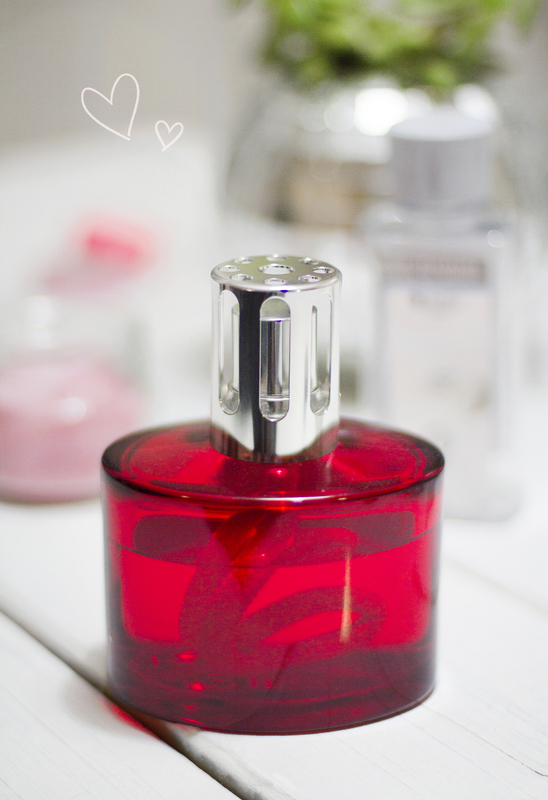 Do you own a Lampe Berger or have you ever tried it? My lamp (shown above) is the Ovalie. Visit their website for more details about Lampe Berger and make sure you follow them on facebook ! Notify me of followup comments via e-mail. You can also <a href='http://coloursandbeyond.com/comment-subscriptions?srp=5908&srk=&sra=s&srsrc=f'>subscribe</a> without commenting.